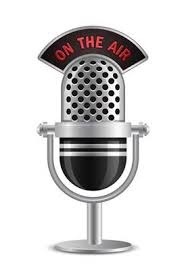 Web radio or online radio is the term designating radio stations that broadcast in digital form on its programming through the Internet, the computer network and may be accessed by any tool that can access the network. In some cases these are traditional radio programs can be received over the air on FM, which broaden its range of listening repeating transmission line; in other cases, these broadcasters, amateur or not, that provide its programs exclusively for use on the Internet. The audio broadcast is sent in the form of compressed audio data stream that is defined and streams that should be decoded on the receiving computer by a specific application, usually a media player. My first experience with the Web Radio dates back to 2008. Messina Onde Radio is born in 1978, home away Novitiate 12, 89.400 MHz; 96.300 and 96.600, publisher Association Marinara Ittos Messana, began operating under the name of Radio South Point, took the Messina Waves Radio 80s. For thirty years the issuer, strongly rooted to the territory of Messina and Calabria, has released good music, he was involved in organizing concerts of big names of Italian song, in numerous interviews and Messina in organizing cultural events. Radio Luna FM103,20 - Roman 103,50 on the initiative of its publisher Sergio Talia in 1975 in the late '70s and early' 80s gave birth to a national circuit with affiliations to the Roman leader of issuers local of other Italian cities. Using a system that would later used Canale 5, Rete 4 and Italia 1 starts a network. From headquarters they were sent to local radio boxes of revox tapes with recorded programs from Rome, common programs and common to all affiliated radio, even if the parent left to individual issuers a small band of local programming. Joint programs were: One hour a day of Foxy John, Francesco Acampora, Maria Cellia Bendadi and Federica; Luna Top 30 Sergio Mancinelli, Brazilian music Sergio Brasil, a talk show hosted by Gianni Elsner and the Ilona Staller programs and Frederick the Flying Dutchman. Antenna dello Stretto Issuer owned by Mariano, the Court said "Uncle Mario", was born in 1975, it was the first radio in the Messina province. Radiating its programs by 102,200 - from 102.400 to 102.600 and 103.00, he succumbed after years eighty 102.600 RTL and is also changed ownership. Play Emotions comes from a great passion for music and radio. After several years of experience nell'F.M. mature this innovative scheme which I strongly believe. By accessing the numerous private radio stations, listen to the usual genres of music business, the usual sounds dictated by a music business that usually turns to the business of the "product to sell" to an increasingly less attentive. In a society where everything looks the same, but above all it is imposed, including what we need to hear, "Play Emotions" wants to stand out mainly for the genre that it is proposing. We relax our mind in perfect relaxation, pampered by the sweet melodies of Play Emotions. Lounge music, Chillout music, Ambient music, Downtempo, Nu-jazz, etc. are the kinds of music that I propose. Dj Ienz, Samuel Pineau, Guido Van Der Meulen, Red Broad, Chris Coco, Joseph Alturas, Marga Sol, Dj Daniel and more.......and others Djs of international repute who are guests at the weekly "Club Ibiza". 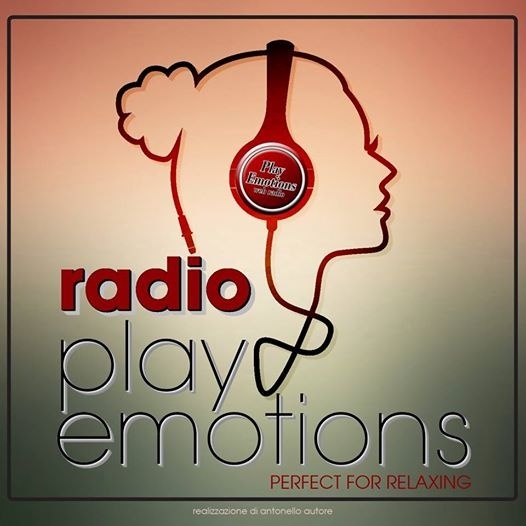 Music of great class, and as such the slogan of the radio music to turn your emotions ... perfect for relaxing. Happy listening with my program "Trend Café" on air Friday at 10 p.m. and reply on Saturday at 11 a.m.
We are born with the radio ... in Calabria in 1977 when there was radio cricket to be one of the first companies in FM then became R.M.C. Radio Sea Calabria and mark the radio success until the early 90s !! 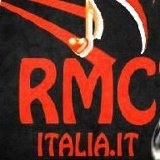 A pit stop lasted 15 years ... and ... ..rieccoci here ... more stronger than before ... this time we start from the web window on the world ... ..to our say in this new reality that is called RMC Radio Mille Cuori ITALIA…. For several years, thanks to the explosion and the intense use of the web has opened up an exciting new world for the distribution of audio content. Convinced of the development of the phenomenon but above all believing in future broader perspective, in 2009 we launched the project "Size Radio". We pass from Milazzo (ME) - Italy, we are equipped with the latest equipment, a cutting-edge automation software and servers that can handle at least a thousand simultaneous connections. Our effort was already considerable, but we hope to progress even more, to keep pace with technological innovations and more will -if possible- to expand our distribution in the future, even in different ways. Our goal is to spread music and information content without any profit, by configuring the first issuer web nonprofit entire Tyrrhenian coast of the province of Messina. 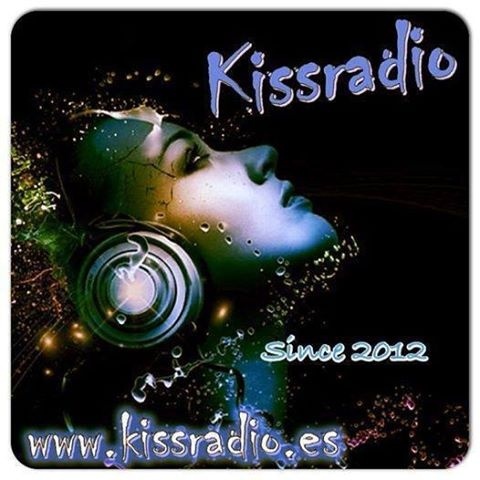 ALTROVERSO Since 1998 the Best Electronic Music Radio from Rome. Radio Onda Rossa 87.9 Fm in the province of Rome. Altroverso was born in October of 1998 by rebel frequencies of Radio Onda Rossa by Nino Giallongo aka Dj Misk with Augusto Nardini as a collaborator, that little more 'later left the engagement and entered Merlini Silvia aka Dja Mischietta. Founded as a simple radio show to spread to other music, Altroverso over the years, and 'evolved, creating new formats, proposing new ideas, new sounds' in the ether of Rome and in the music scene of that city' to become a reference point and a web-magazine dedicated to electronic dance music. During these years hundreds of broadcasts were made, thousands of hours were produced, hundreds of reviews, special to the label, the more 'well-known artists, lesser known and emerging, all thanks to self understood as a commitment and dedication to a passion: the music . Without any presumption, we can say that the hard work over the years and 'was a huge help to the growth and development of musical culture in Rome; going back over the years we can remember the oblivion in which he lived in Rome and its music scene crossed by few reality '(commercial or otherwise) with a single-minded musical proposal: only a few styles and genres, snubbing totally what' moving European in the underground and beyond. 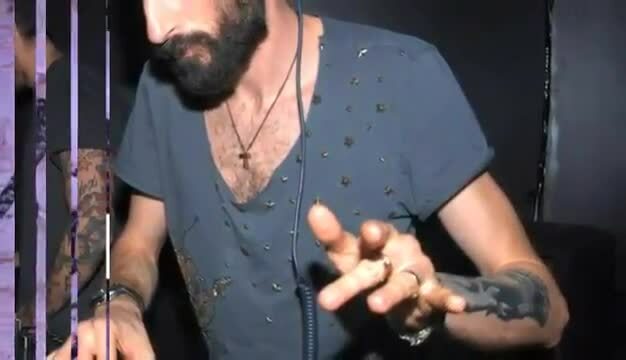 Thanks to the enormous research work, mixed with an uncontrollable desire to discover the news ', Dj Misk and Dja Mischietta have started to look beyond the borders of the province discovering so' new labels, new artists, who carried out their speech. Currently Altroverso and 'a reality' that has established direct relationships with leading distributors of music in vinyl and with dozens of label anywhere in the world. The passion for music, and in this case for electronic music makes us take this project forward, without speculating about music but simply trying to spread the independent culture and open to new artistic expressions. 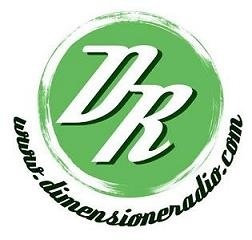 On air Thursday at 10 p.m.
Online radio, music Elegant and Exclusive with Top Artists and DJ's. A radio network devoted entirely to entertainment, designed for customers who attends hotels, restaurants, casinos, lounge bars and businesses. 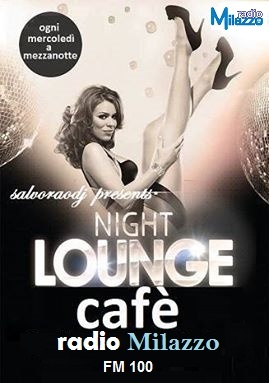 Lounge Music, Deep House, Nu Jazz, Chill House, Funk, Electronic, Pop, Glamour, Ambient. 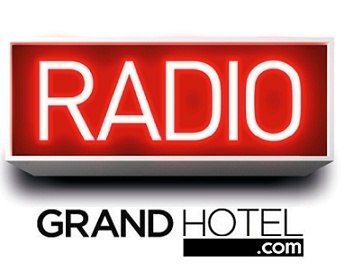 Radio Grand Hotel with more than 4,000 daily listeners is the Web-Radio MORE 'HEARD IN ITALY. WWW.RADIOGRANDHOTEL.COM, exclusive music, elegant and refined. I wait on Friday night at 11 p.m. at the "Grand Casino" a stream of elegant music, a groove overwhelming magic of the musical atmosphere of soulful and deep .... Music of Great Class! !